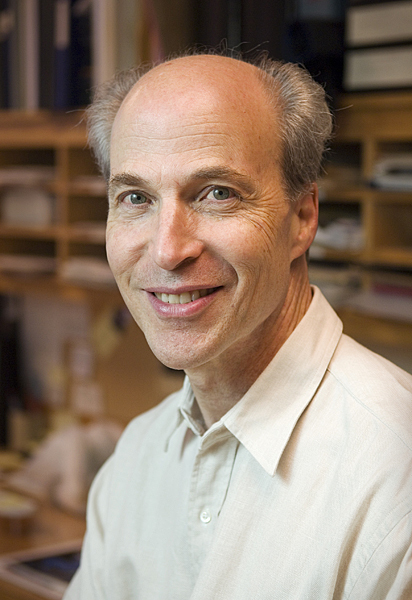 Nobelist Roger Kornberg: "If there is any one subject an educated person should know, that is chemistry"
Roger Kornberg received the 2006 Nobel Prize in Chemistry for figuring out the atomic-level details of the process of transcription, that foundational aspect of life that frees up the message in DNA and allows it to work its magic through messenger RNA. Following the announcement of the prize, Kornberg had a remarkable exchange with an interviewer in Stockholm when the interviewer asked him whether the work he was doing could rightly be classified as 'structural biology' or something else. In the process he offered a supreme paean to chemistry as the central science. “The fact remains as I said that the boundaries have blurred, but what is more is that the work that we do in the structural biology department is in some places done in departments of chemistry and in other places done in departments of biology. As if this glowing praise was not enough, Kornberg further elaborated on his view of the necessity of chemistry when the interviewer asked him about what kind of preparation he expects potential students and postdocs in his lab to have. "I have a very straightforward answer to your question. The one thing I look for is chemistry. People come to my lab from a background in biology, they come from a background in physics, and the question I always ask is about their training in chemistry; if they have studied chemistry then what chemistry did they study and how well did they do it. If someone comes along who has studied physical and organic chemistry and have been good at it, then I know they will fit in well, that they will succeed in what we do…absent that I’m doubtful…if they’re a biologist they must have done chemistry, if they’re a physicist then they must at least show an aptitude for chemistry." Kornberg's superlative leanings toward chemistry may seem excessive but he makes an excellent point. His statement that our best hope of applying physical principles for the world around us is at the level of chemistry succinctly captures the emergent nature of chemical science that frees it from its underpinnings in physics. DNA is composed of quarks, but you cannot understand its principal properties like base pairing and hydrogen bonding at the level of quarks. You can only understand them - both philosophically and practically - only at the molecular level, only at the level of molecular orbitals and electronegativity. The central science of chemistry reigns over biology, over applied physics, over astronomy, over engineering, but it often works its subtle but powerful influence through the shadows. Like the spacetime of general relativity it simply is everywhere.